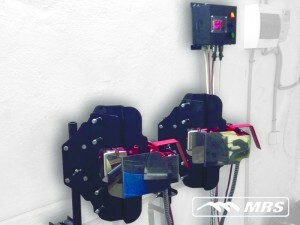 The system is designed to speed up the repair of pipes and hooks as well as creating high indicators of the properties of the binder after processing. The minimum repair cycle is 1 hour. The system is available with variety of configurations and depends on the volume of repaired sticks and types of its repair. The system can be equipped with analog or digital control. The control unit is equipped with an LED warning indicator: ready to process, process switched on, complete. The system allows to re-heat the already produced repair to improve the molecular level of the binder. Install the accelerator on the STRICT system or the matrix for the hooks. Turn on the control unit, Press the “Start” button. The system will automatically turn off and notify with the indication that process completed. +When it be completed the stick should be in the system or in the matrix about 10 -15 minutes, since premature removal of the stick can lead to deformation. high performance settings after repair.